Six year-old Tyrik Jenkins was killed on Sunday morning when a drunk and coked up Guatemalan man ran a red light and hit the truck the boy was riding in. The boy was thrown from the truck in the crash. The driver was charged with manslaughter. Three children were in the bed of the truck and were thrown from the vehicle when he hit it at 10:30 a.m. on Sunday morning. Two adults were in the truck with the children and a two-year-old child was sitting on the lap of an adult passenger in the front seat. According to the report by CBS5 in Phoenix, six-year-old Tyrik Jenkins was killed when a Dodge pickup truck driven by 19-year-old German Valdemar Godinez-Godinez hit a Ford Ranger that was making a left turn. The boy was ejected from the bed of the truck and was taken to an area hospital where he later died. The CBS affiliate reported that he is a citizen of Guatemala and considered a flight risk because he has family there. 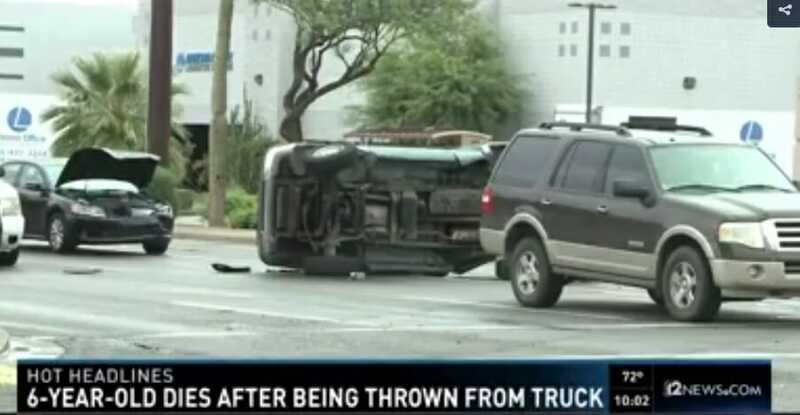 He was reported to have run a red light and allegedly told authorities that he did not see the red traffic light because the visor in his truck was down. Godinez-Godinez was booked for driving under the influence (DUI) and faces one count of manslaughter and five counts of endangerment, according to the report. The judge set a $250,000 cash bond.